After six years of writing, I am finally closing this weblog. It has been an enjoyable and powerful learning experience for me, and I appreciate those of you who have joined me along the way. The journey will continue. If you want to stay updated on my current pursuits, please visit lesterleung.com to see what I am currently working on. Thank you again, and please stay in touch. The third year of medical school is a pivotal experience in the lives of training physicians. In some ways, it is one of the most difficult years in training, besides intern year. In this series, I will share lessons I learned as a third year medical student and my experiences teaching third years. The training of physicians emulates the principles of future practice, and one of these principles is that physicians are required to perform to the highest achievable quality of care (and other roles, such as teaching and research) every day. Accordingly, students who maintain a steady and improving performance curve during the course of their clerkships are the ones who succeed. Much of the notion of reliability centers on a consistent manifestation of behaviors and attitudes. For example, the reliability of a consultant depends on his routine demonstration of politeness, enthusiasm, and thoughtfulness in evaluating cases and offering advice. The more the consultant strays from this path by angrily berating consulting physicians for an excess work load and by offering unhelpful suggestions, the more this consultant is viewed by his peers as unreliable. Similarly, the best students are consistent in their behaviors and attitudes towards all people they work with: the patients and their families, nurses, therapists and technicians, residents, attendings, fellow students, etc. Students who only pander to their senior residents and attendings are flaky kiss-ups, while students who treat all with respect, kindness, and collegiality are viewed as solid. The practice of medicine can be tiring and grueling. Nonetheless, teaching is often a source of joy that cultivates energy for many physicians. Accordingly, students who demonstrate and foster enthusiasm for learning are more likely to be engaged by their residents and attendings in minute-by-minute teaching and guidance throughout the working day rather than just during scheduled teaching sessions. Similarly, students who are enthusiastic about patient care rekindle this desire within tired resident physicians, prompting those residents to perform better in order to serve as good role models and guides to the students and their patients. The most enthusiastic students might also sometimes share enthusiasm in a meaningful, nonintrusive and noncompetitive way with their peers (fellow students), encouraging all towards improvement of knowledge and practice. A genuinely enthusiastic student can truly galvanize a team towards functioning as a better unit, engaging in more teaching, and delivering better care. While enthusiasm is a must, passion for the professional field of the clerkship (e.g. the training chosen by the residents and attendings) is not required for students. For example, I do not expect students on the Neurology clerkship to all want to become Neurologists. While an expression of genuine interest is always a pleasant occurrence, this does not set up this student in my mind as a better performer or as one that I should treat more kindly or with more attention. Inevitably, I do end up interacting with students who do have interest in this field slightly more because of the desire to ask questions and seek advice about residency, but this does not reflect on performance. However, passion for something is an important quality that all physicians should have but many do not display, at least not openly. Whether it is a passion for public health or improving education or delivering better patient care or restructuring health policies, the expression of passion by students almost always works in their favor. People want to work with others who care about something, because passion is an energizing force. Moral behavior is usually the principle tenet underlying the concept of integrity for physicians-in-training. In particular, honesty is an essential trait. While it is acceptable for patients (particularly with neurologic, psychiatric, or systemic symptoms) to confabulate, it is NEVER acceptable for a student to outright lie or even slightly bend the truth. I have utmost respect for the students who say “I don’t know,” “I didn’t ask that question,” or “I didn’t examine that” when asked about history or examination details by an intimidating attending physician or senior resident. By corollary, I immediately lose faith in the integrity of students who fudge the truth, and I can no longer trust anything he says or does. Integrity can seem to be a very difficult quality to cultivate, but in reality, only the strength of a student’s commitment can keep him honest. Most physicians engaged in patient care derive some satisfaction and expression of purpose from patient care, and in particular, the giving of compassion to those who are sick. Particularly in a system which constantly conspires to keep physicians and patients at a distance (separated by time, excess documentation, and threat of litigation), the demonstration of compassion by a young trainee shines like a beacon that inspires hope. In particular, since each aging generation predicts destruction for the next, it is encouraging to see a commitment to the primary virtue (compassion) that fuels the practice of medicine, even when the health care delivery system itself does not readily support this virtue and often works against it. Seeing compassion in a student reminds the rest of us why we came into Medicine in the first place. For some attendings and residents, having that reminder each year with new students helps us cultivate and maintain our own commitments to this virtue. Much of the third year of medical school on an intellectual level is based in theory and discussion: third years spend a large portion of their time in attending rounds, tutorials, and conferences. However, the faster students transition to the reality of delivering actual patient care, the better they will be suited for their imminent roles as interns and residents. Accordingly, students who delve more actively and deeply into the nitty-gritty of patient care tend to find rewards in the form of gratitude from patients as well as from residents (who appreciate the care given that they otherwise would have to deliver and the identification of issues that might not have yet been addressed or discovered). Residents and attendings want to see progression of students as they emerge from their coccoons of the preclinical years to becoming full-fledged clinicians who are capable and pragmatic. While clerkship policies vary from one medical school to the next, there in theory are no work hour restrictions for medical students (while there are strict restrictions for residents). An amazing amount of respect and gratitude goes to students who jump into the trenches with their interns and residents to actively engage in patient care, work long hours, and see tasks through to their completion (rather than wait for the updates the next day, a task which requires more time from the residents in the morning when they are otherwise busy preparing for the work day). By corollary, there is a strong cultural stigma against asking the question “Is there anything I can help you with? (two seconds later) Can I leave?” The general wisdom among medical students that is handed down by residents and attendings is that the more one helps out with patient care and getting work done, the more likely one will be given opportunities to learn as the residents will have more time to teach. This, of course, is a probability game: the teaching will not always happen, and not all residents are interested in teaching and not all are effective teachers. Nonetheless, demonstrating hardiness and resilience is an admirable trait: just like in battle, there are people you want to have by your side, and being one of those people gives one considerable value and respect in the eyes of others. Finally, at this time, medical care is rarily delivered solo, and within the hospital setting it is always delivered by teams. Accordingly, it is essential for physicians-in-training to cultivate camaraderie among their fellow trainees, with residents and attendings, and with other staff members who help to deliver care to the patients. Recruiting patients and their families into this “team” is also one of the most effective strategies for delivering long-lasting positive effects on individual health outcomes. The students who do this best support their fellow classmates (by sharing their learning and serving as leaders among the students), support their residents (by helping them out with patient care tasks, including performing initial evaluations, scut work without calling it or thinking of it as scut), support other staff (by treating nurses and others with respect and as equal partners in this enterprise), and supporting their patients (by becoming the primary liaison with patients and their families, fielding questions and offering capable answers when appropriate and seeking assistance when needed). Team players are valued in medicine, while most self-imagined virtuosos (or prima donnas) are almost all failures due to paralyzing personality traits (e.g. succumbing to the pitfalls mentioned in the previous post and not embodying the virtues described here). As such, anything one does to foster camaraderie on the wards will earn respect and admiration. Fellow residents and attendings, what qualities do you value in students? What characteristics or behaviors help distinguish students as the strongest performers and the most likely to become excellent physicians? Please send in your comments and thoughts. 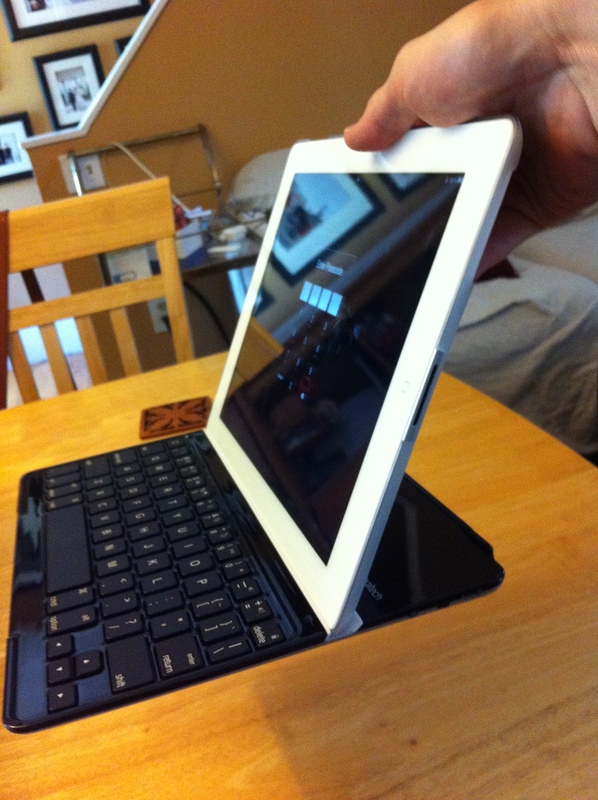 Previously, I discussed the merits and problems of my first keyboard case for the iPad, the ClamCase. While it still remains one of the best options available, a few factors have prompted me to search for an alternative case. Just as a reminder, I am a Neurology resident at a training program at a large academic hospital that has three Neurology primary services and three consult services as well as a smorgasbord of general and subspecialty clinics. This hospital has a browser-based online medical record and order entry system that makes it very easy to use an iOS or Android device (or a laptop) to perform digital tasks to contribute to the medical care of patients. For the second year in a row, the program is issuing iPads to its incoming junior residents. Our program, in particular, generates massive amounts of admission, consultation, and progress notes (which include “accept notes” for all junior residents assuming the care of new patients, even if another admission note is available, and “chief accept notes” for chief residents in a similar position). Accordingly, having a method of performing actual word processing on the iPad is an attractive objective. 1. Battery Life – Perhaps the most important factor is that the keyboard case should have a very long and stable battery life. In my line of work, I can’t afford to sit down and plug in when I might have to respond to a Code at any given moment. 2. Weight – The ClamCase essentially doubles the weight of the iPad and adds considerable heft to the standard Neurology bag. I would prefer a lighter case if possible. 3. Comfortable Keys – Many of the iPad keyboard cases have relatively poor quality keys or oddly arranged keys that provide an unsatisfying experience that ultimately slows down the typing process, and hence, reduces productivity. 4. 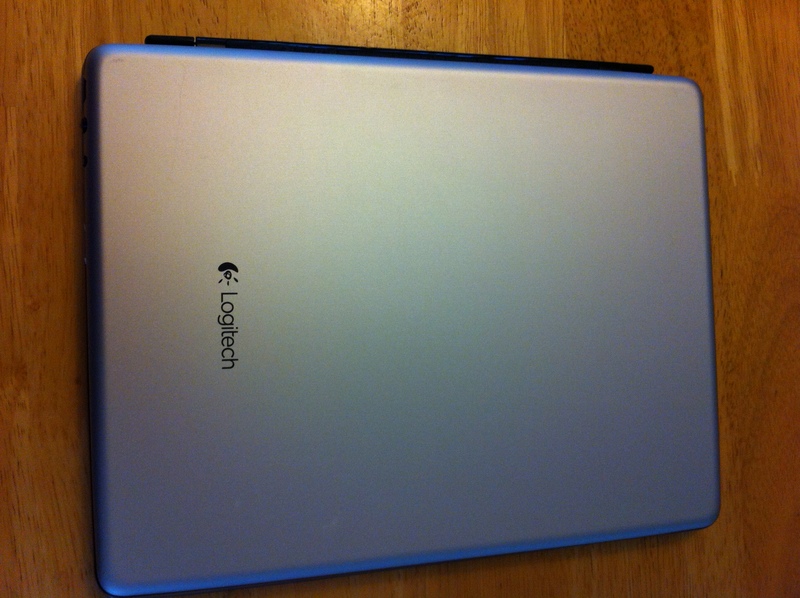 Protection – I would want a case that offers sufficient front face and rear encasing protection for the iPad. Sadly, I previously dropped an iPad in the line of duty (running to the Emergency Room to respond to an emergent consultation for a life-threatening traumatic head bleed). At the time, I was using the standard Apple “Smart Cover” which offered no front screen protection, particularly when it slipped out of my hand and landed glass-side first on the tiled floor! There must be a keyboard cases that provides a suitable balance between battery life, light weight, keyboard layout, and protection. 1. It offers almost NO protection. – This is not actually a “case.” It is essentially a svelte version of the Apple Smart Cover with a built-in “chiclet” keyboard. It connects to the iPad with a magnetic hinge, providing a cover for the glass screen when closed but otherwise not contributing any protective benefit, particularly to the rear of the case. It additionally will do nothing to protect the glass screen when opened. 2. It cannot be flipped 360 degrees. 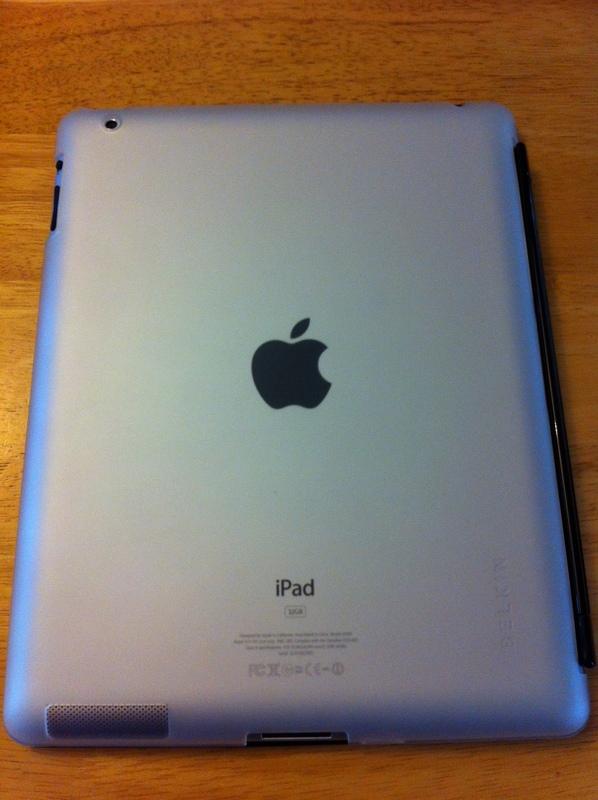 – Unlike the ClamCase, the cover has to be detached in order for one to use the iPad comfortably. In other words, the cover cannot be flipped across the rear encasing of the iPad: the hinge will not allow for that much rotation. Fortunately, the cover is extremely easy to detach, but this is somewhat disappointing feature of the design. 3. It has few viewing angles. – Unlike the nearly 360 degrees of viewing angles offered by the ClamCase, this cover only allows for a single viewing angle which is approximately 60 degrees from the table. It is a relatively steep angle that makes typing on one’s lap potentially awkward when sitting upright. 4. It was not clear whether or not other protective encasings would be compatible with this device. – Some user reviews described being able to encase the iPad in a plastic shield whereas others vehemently denied this possibility. 5. Several users described not being able to type on their laps with this keyboard. – Since the keyboard is very light, some users expressed concern about the possibility of the top-heavy iPad toppling over their knees and onto the floor when trying to type on their laps. 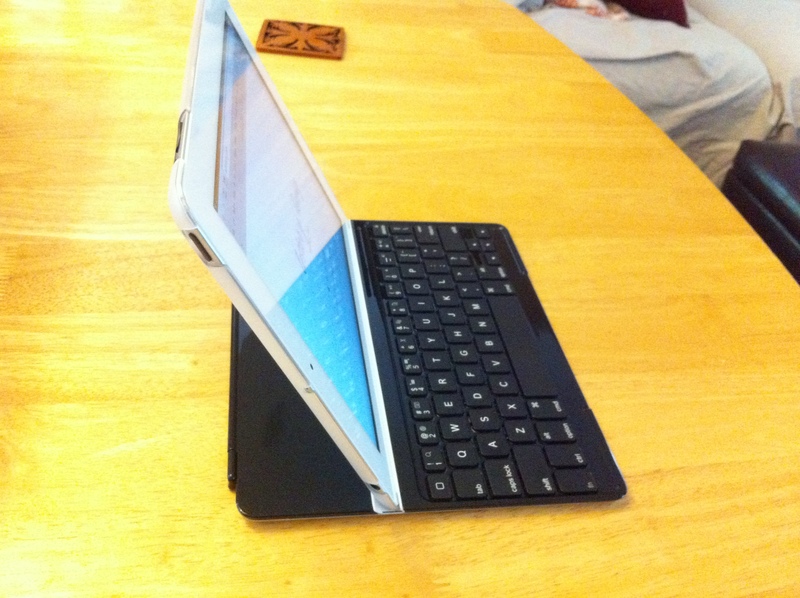 Nonetheless, I decided to take the plunge and attempt to fit a Belkin Snapshield onto the iPad 2 and then see if this would be compataible with the Logitech Ultrathin Keyboard cover. Fortunately, this gambit paid off, and the finally result can be seen in these pictures. 1. It is very light. – Carrying my iPad and this keyboard in my bag feels almost weightless compared to the past several months when I was carrying the ClamCase. 2. The keyboard has a good feel. – While the keys do not have the laptop-style feel of the ClamCase keyboard, there is a slight separation between the keys that offers a good degree of spring. The feel is superior to most other keyboards incorporated into keyboard folio cases that I tried. 3. It is attractive and streamlined. – When attached to the iPad, it maintains a slim profile, approaching that of the MacBook Air. 4. It is compatible with the Belkin SnapShield. – At the very least, the iPad 2 with an iPad 2 SnapShield and the Logitech Ultrathin keyboard are compatible together (which has been corroborated by at least one other user). This may not be the case for the third generation iPad and associated SnapShield as the dimensions are slightly different. Having the SnapShield offers rear encasing protection for the iPad, attenuating the lack of protective qualities of this keyboard cover. 5. The cost is less than the ClamCase. – The Logitech keyboard is $100 while the SnapShield was an additional $30, making it slightly cheaper than the ClamCase. Time will tell whether or not this combination of keyboard and case will be sufficient for the demands of the hospital, but at this time it offers a lightweight and attractive alternative to the ClamCase. Thus far, I have been using it for three days, including during noon conferences and lectures and during my continuity clinic for my clinic notes. My hope is that the battery is longer lasting and more stable than that of the ClamCase, and that the light weight does not come at too much cost with regards to reduced protective qualities. 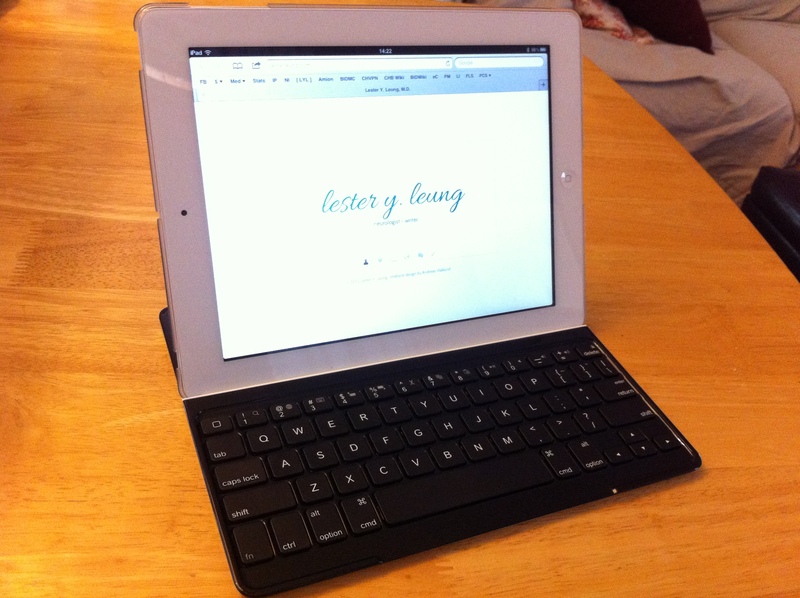 Previously, I discussed the merits of the ClamCase, an innovative and useful keyboard case for the Apple iPad. Of all of the higher end and pricier keyboard cases, it definitively remains one of the best options available for the production of written content on the iPad. During the past seven months, I have written numerous admission, consult, and progress notes every day I have worked in the hospital, and I have additionally written weblog posts and numerous e-mails. I often had a hospital computer open to an electronic patient record while having the iPad open to a new word processing file which would allow me to type notes and read simultaneously. Unlike a laptop, the iPad with a keyboard case allows for instantaneous access for quick tasks at the bedside and while rounding (such as typing in an order in tablet form with one hand holding the device and the other hand tapping the screen and typing) while also allowing for comfortable word processing and reading. The combination of the ClamCase and iPad 2 essentially replaced my old laptop (a previous generation of MacBook of the black plastic variety) except for the occasional Photoshop task or for iTunes file synchronization and backup. However, there are a few important disadvantages of the ClamCase which may or may not be generalizable across the product line. First and foremost, the battery life of the device is variable. Initially, I did not have to charge the keyboard for days at a time, but about five months into its lifespan I discovered that it was losing its charge during the course of a day’s work. After some weeks of experimentation, I have not found consistent behavior of the battery in response to overnight charging and roughly comparable usage each day, leaving me with some degree of anxiety as to whether or not it will keep its charge during a particularly busy day of consults and admissions. I suspect that this is the result of me not treating the battery correctly, but most people do not maintain good battery charging practices which makes me wonder how often customers have difficulty with the battery for this keyboard case. There are a few other additional small and surmountable issues. The case is heavy: the weight of the device essentially doubles the weight of the iPad. The four protective pads on the keyboard side of the case which elevate the keys off table surfaces when flipped into a video viewing mode quickly lost their adhesive and tore off easily. The keyboard additionally has very nice laptop-style keys, but some do become slightly sticky with time, sometimes causing the keyboard to produce a string of repetitive letters which sometimes would require exiting from an app to interrupt. Over time, this has become a more frequent occurrence. Lastly, on a purely cosmetic level, my white version of the keyboard case very easily stained on the bottom surface within a week of ownership. In summary, the ClamCase has been an incredible boon to my productivity on the hospital wards, but after seven months my particular device has aged and is starting to run into difficulties. Some user reviews have commented on issues with maintaining the battery’s charge and not being able to trust the green/amber indicator light. If I had assurance that the battery issues has been fixed, I would certainly purchase another ClamCase, but in the mean time, I have started to look into alternative options. The most common and devastating mistake that third year medical students make is to become invisible. In many schools, the clerkship final examination (the Shelf exam) may account for as much as 30% of the final grade. Having spent every year of schooling prior to this learning from books and taking tests on paper, it feels most natural and most safe for medical students to dive into the review books and Up-to-Date in order to desperately try to learn the vast amount of information that they might encounter on their clinical rotations. However, they may fail to account for the remaining 70% of their clerkship grade for which the majority derives from the evaluations written by residents and attendings that work with the students. They also fail to realize that most residents and attendings actually like working with medical students or at least feel some degree of responsibility for their education. This mistake typically manifests as the student venturing out of sight of the residents in order to read a review book in a quiet space. (At the very least, if a clinical service is quiet, the student should ask her residents if it is okay to find a place to read so that the residents know where she is and what she is doing.) Out of sight, out of mind. Once the student removes herself from the vicinity of the residents or attendings, she is no longer is available for the minute-by-minute pearls of wisdom, the observation of how patient care is coordinated and carried out, and the opportunities to engage actively in patient care as new issues and crises arise. Also, the tendency for residents is to write positive evaluations for their students, and being present provides more material to write about while being absent leaves the resident with little to say in favor of the student. This pitfall is becoming more difficult to avoid as many medical schools redesign their curriculums in such manner that they are spending more time in the classrooms and away from the patient wards and their teams. The most common complaint of residents and attendings is that these new curricular changes result in the students never being around. Accordingly, third year students have to be very careful to cultivate expectations and let their residents and attendings know where they are or where they will be at all times. One of the crucial aspects of ensuring one’s attendance is to be on time to all regularly scheduled meetings. This usually isn’t a problem for most students, but again, students who spend more time away from their residents are more likely to be left behind when work rounds, attending rounds, or teaching sessions are shifted from their usual times. 3. Failing to learn something taught with emphasis. In general, most residents like students and want to see them succeed. Furthermore, on a more self-serving level, students that perform well reflect positively on their residents (as teachers and role models). Residents will use different strategies to help their students perform well in the eyes of their attendings. The most obvious manifestation of this is a resident rehearsing a verbal presentation with a student for attending rounds. The resident will often point out key details for the student to highlight or describe a particular way in which the important information should be conveyed. Unfortunately, some students do not pay enough attention to these explicit rehearsal or teaching sessions. I have too often seen clear evidence of disappointment and disapproval on the faces of senior residents when a student fails to convey important historical details or examination findings or when he botches the presentation structure. While it is not always reasonable for a student to be able to remember everything advised by his residents or to be able to perfectly recite a script handed down by his resident, it would behoove him to be extremely attentive when a resident sits down with him to prepare for a performance. Similarly, when a new skill or concept is taught with emphasis, this becomes a marker for improvement for the student; failure to internalize this new lesson accordingly is detrimental to his subsequent evaluation by that teacher. Third year medical students are smart: they have clearly achieved excellence in order to make it to this stage, and their proximity to their recent preclinical coursework and Step examinations provides them with a wealth of book knowledge. However, most third year students have minimal amounts of clinical experience and little awareness or knowledge of how medicine is actually delivered. While most third year medical students are aware of this fact and accept it with humility, a select few have difficulty accepting the advice, moulding, and criticism that inevitably comes from residents and attendings. Everyone has room to improve, but not everyone is willing to change. These students unfortunately develop a shell that blocks out criticism and advice, discounting criticism as the product of a resident or attending that “had it out for me.” Unfortunately, these future physicians are also the future recipients of law suits and disciplinary action. Given that most residents and attendings are saddled with excess responsibility, it takes a lot of activation energy to produce constructive criticism, so advice or criticism given is rarely fictitious. While some students fail due to pride and overconfidence, most students trend in the opposite direction: they feel like imposters in a new and alien environment. Bombarded by questions from their residents and attendings, the habitual answer of the overwhelmed is “I don’t know” as it would seem to be the easiest and quickest way of cutting short the torture of feeling helpless and unknowledgeable. Students cope with this in many different ways (some more maturely than others), but typically the best recommendation given to them by residents and attendings is to commit to an answer or decision and yet still remain flexible to learning and changing. 6. Sandbagging or upstaging a fellow student. At my medical school, showing off and upstaging fellow students or residents was called “sandbagging,” as though one were physically dropping a sandbag from offstage onto an unsuspecting colleague. The most common form of this is when a student answers a question directed at another student. In the stressful environment created by the wards, students all too often feel pressure to perform and look smart in front of their residents and attendings, and this can breed distasteful manifestations of competitiveness. This tendency is unfortunately fostered by some residents and attendings when they don’t direct their questions at individuals. Nonetheless, trying to look good at the expense of others inevitably reflects very poorly on one’s character as few people would want this type of person as a colleague. 7. Being unkind or cruel. Lastly, students sometimes too easily pick up on the bad habits of residents and attendings. In particular, residents and attendings will occasionally remark unfavorably, joke, or complain about other people (who may be obstructing or causing detriment to patient care) in a private setting when students are present. However, residents and attendings have gained experience and training in tempering their feelings in such manner that it does not affect their interactions with these other parties; these expressions behind closed doors are, in some ways, safety release valves. Many students, however, have not learned or developed these skills and balancing measures. Students then may sometimes actly rudely or unkindly to others as they “side” with their residents and attendings. However, this type of behavior is never acceptable at any level of training or practice and should be guarded against at all times. One of the most important tasks for all physicians is to bridge gaps in understanding with patients, families, and other staff members (e.g. nurses, technicians, therapists) in order to lead and direct the best care possible, and the avenues by which this may occur are obliterated once rudeness and meanness color the interaction. Fellow residents, what mistakes have you seen students make? What advice would you give to them to avoid common pitfalls as third year medical students? What measures should they take to succeed in becoming excellent physicians? In the first installment of this series, I discussed the challenges faced by those learning the art and science of medicine, which is to say, everyone (or at least, everyone who is still willing to learn and adapt to the growth and evolution of knowledge in medicine). It is the uncertainty and the complex mechanism by which knowledge changes that necessitate that physicians actively organize and seize control of the ways they learn. Additionally, medicine is a high stakes endeavor, one in which accuracy and precision of information are paramount, and one in which a common mantra is “trust no one.” As such, individual physicians need to establish a fulcrum across which to balance different sources of information and learning. The fulcrum, in my opinion, is the physician’s notebook. What do I mean by “notebook?” The notebook can be any means by which a student, resident, fellow or attending organizes his or her thoughts. In most cases, this is a written medium which will allow the user to either write, draw, or type information as a means of immediately aiding the storage of memory in the brain and providing a visual map by which to trigger the accessing of memories. This medium should be portable and easily accessible or it won’t be used. Finally, the notebook should be expandable, as the duration of time during which a physician must learn is limited only by lifespan (unlike a notebook used in grade school or college for a specific course). Here, I describe three potential methods that one might use to seize control of one’s learning. The most common method that physicians use to take notes are physical notebooks. These are typically small enough to fit into the breast pocket of a physician’s white coat, often the only pocket with a standardized size across various white coat brands (the side pockets vary greatly in size). In my imagination, the “Golden Age of Medicine” is populated primarily by well-groomed, male physicians who mostly look like Don Draper except that some have more white hair and most are alternating between business suits or long white coats. Nestled somewhere between the penlight and fountain pen rests the Moleskine, a thin leather bound notebook. The company that has the trademark for the name Moleskine has advertised this little notebook as being so much more: in describing the many famous and brilliant people who have jotted down ideas and drawings on its pages, the Moleskine is somehow supposed to inspire brilliance in the rest of us. This notebook fits so well with the traditional culture of reverence and nostalgia within Medicine that it is found in most if not all medical school bookstores. These little books are useful for their portability and easy accessibility. Furthermore, they require only a pen and (at least) legible penmanship. Notebooks are generally cheap, though the premium brand-name Moleskines usually cost $8-12 each (varies based on size and merchant). Of all the methods of taking notes, this one requires the least amount of startup time. However, all pen-and-paper solutions have serious disadvantages. Perhaps the most prominent is expandability: all paper notebooks are limited by the number of pages available, which means that the notebook will at some point reach its maximum capacity and become a static entity. In this situation, it remains a useful resource for referencing and memory augmentation, but it no longer has the ability to help one grow one’s knowledge base or chart that growth. Furthermore, notebooks require good handwriting: most physicians have atrophic penmanship which is worsened by fatigue and the prevalance of electronic medical records. Paper notebooks also require exceptional planning skills in laying out an effective organizational scheme prior to starting the notebook, otherwise accessing information in the notebook becomes an exercise in random searching. Lastly, if lost or misplaced, a paper notebook is gone forever and cannot be easily replaced. Personal Experience: Throughout medical school, I used Moleskine notebooks to take notes and by the end went through at least three. I was frustrated by the lack of growth capacity. Accordingly, an alternate solution I tried revolved around the “Pocket Medicine” series: the portable book is actually a small binder, and a few stationary stores actually carried extra lined paper inserts that matched the size of the printed pages. I thought this was an elegant solution as it allowed me to take notes and “insert” my knowledge into the handbook. Over time, this expansion capacity was still not enough, and my fear of losing the notebook prompted me to seek out other solutions. As iPads and iPhones (and to a lesser but still considerable degree, other tablet computers and Android phones) become ubiquitous throughout the physician population, the possibility for new electronic methods of notetaking grows exponentionally. When I was a third year medical student, iPhones and iPod touches were still uncommon, and pulling out one of these iDevices in front of an attending on rounds was still considered rude and taboo. However, there is now a well-developed ecosystem of medical apps and resources available for these devices that make them useful for information acquisition in the clinical setting. While there are still some concerns regarding the ability of electronic devices to distract physicians from clinical care duties, the overwhelming momentum is towards the acceptance and adoption of portable technologies into medical practice. Furthermore, medical schools and residencies have discovered educational and clinical training value found in these devices, or at least they are willing to invest money to buy these devices for their students and residents with the expectation of educational potential. With regards to serving as “notebooks,” the iPad and iPhone, particularly as a pair, are a potent combination. In addition to providing storage and reading capacity for electronic textbooks and papers from research journals (think of the numerous e-mails one receives everyday with an attachment to some review or study), the iPad additionally services as an effective content creation device with the appropriate peripherals. Many people find it difficult to use the glass keyboards of Apple’s devices, and few would argue that typing performance on the glass keyboard can match a physical keyboard. Accordingly, a Bluetooth keyboard is an essential add-on, and numerous elegant solutions have been developed including the Clam Case and Logitech’s Keyboard Folios (solar and standard), most typically increasing the overall investment by $80-150. 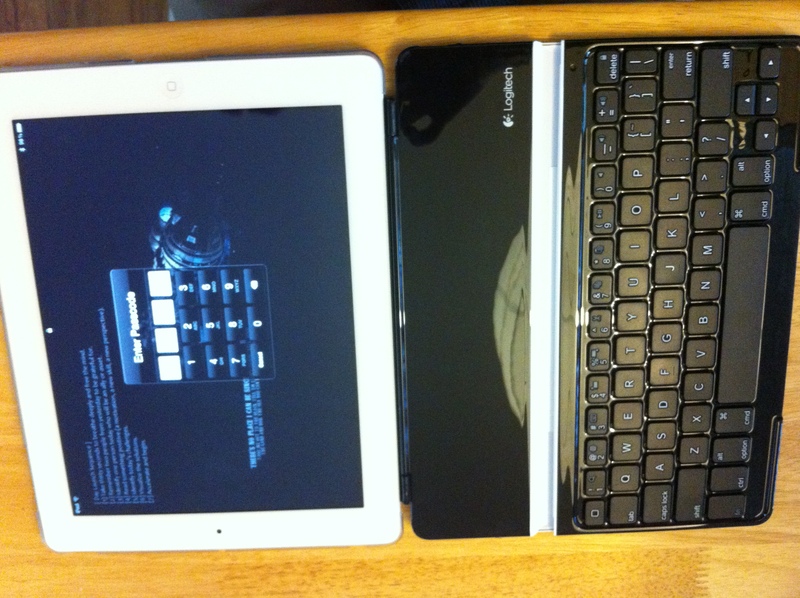 With these keyboards, the iPad effectively becomes a “netbook”: a laptop with a slightly smaller keyboard (which might impeded some people with big hands), smaller hard drive, and longer battery life. However, the iPad is much more effective than a true netbook because it does not have the startup latency of laptops: most if not all of the tablet computers activate within fractions of a second and can allow one to start typing seconds later. In addition to allowing rapid access to a typing interface, many apps on the iPad and other tablets allow for alternative forms of note-taking: drawing with a finger or stylus, a mixture of drawing and typing in flow charts, and recording audio. Unlike paper notebooks, notetaking on a tablet computer can be organized and reorganized in a much more malleable fashion. The initial planning stage is less important because information can be readily modified and moved, a feature not present in paper notebooks (there is no readily accessible “copy-paste” feature in the analog world). Simple text editors allow for the creation of innumerable text files, while more complex cloud-based notetaking programs often include content search capabilities, tagging (by keywords), and nesting of files within folders. Where does the smartphone fit into this? If the smartphone uses the same operating system as the tablet computer, often shared applications can also share data, particularly if one uses a cloud-based storage solution such as Dropbox, iCloud, Microsoft’s SkyDrive, or Google Drive. Accordingly, if one doesn’t have the tablet available (or have the time to pull it out), one can still access all of the same files on the smaller screen of the smartphone (which most people will carry around all the time). This reduces the time required to access notes and more closely approximates the time it would take to flip through the pages of a paper notebook. There are disadvantages to the tablet computer-smartphone solution as well. First, this solution is expensive: both tablet computers and smart phones cost hundreds of dollars (an iPad, iPhone, and Bluetooth keyboard will probably cost the user about $1000, not including the monthly service fees for the iPhone). Secondly, the data input is reliant on the larger device: typing on an iPad Bluetooth keyboard for the average computer user is likely to be nearly as fast as on a full-sized keyboard, but this requires that the user have a flat surface on which to rest the device. Practically, this means that the user needs to be seated or standing at a counter, such as at a nursing station or using the height-adjustable table at a patient’s bedside. This also means that the user needs to carry both the iPad and keyboard with him or her into the clinical setting. While there are some people who have modified white coats to include iPad-sized pockets, this may not be the most comfortable solution. For physicians that normally carry brief cases or shoulder bags (e.g. Neurologists), carrying a tablet is not an issue. Thirdly, this solution is energy-based, so battery life becomes a consideration. However, iPads and iPad-compatible Bluetooth keyboards generally have exceptionally long battery lives. Personal Experience: This is the solution that I use at this time, and quoting the late Steve Jobs, “It just works.” I use a Clam Case with my iPad 2 to type my notes. I carry the iPad in a Fossil city bag which fits both the iPad as well as my various diagnostic tools in a non-bulky fashion. I use DropBox as my cloud-based storage solution with Elements as my simple text editor for notes (which is fast, has folders for organization, and keeps my files accessible instantly without an Internet connection on my iPhone, iPad, computer, and on the web on the Dropbox site). I use Papers for handling journal articles, iAnnotate for other PDFs, and Kindle and the iBooks apps for medical textbooks. I generally pull out my iPad/Clam Case during conferences and lectures to take notes, and when I’m on clinical duty and need to check something I pull out my iPhone to quickly access the notes. In my case, the additional weight of the devices is justified by the iPad’s additional uses on the wards and in the clinic: I also use my iPad/Clam Case for writing progress, admission, consultation and clinic notes, and while rounding it is additionally useful for placing orders and checking labs and imaging test results. A laptop, even a small one, would be more cumbersome for the ward-specific tasks (placing orders, checking the electronic medical record while standing/walking), and most do not have the equivalent battery life or short activation latency. Of note, there are a variety of other methods of using a smartphone and a tablet. There are several cloud-based note taking services such as Evernote, Notability, SimpleNote, etc. For me, I wanted a service that would allow me to access some version of my notes off-line on any device, so a DropBox based solution was the best for me. One idea that I have reencountered is the collaborative notebook. That is, a centralized website where several individuals within a field can post and edit files or pages and pool together a considerable amount of knowledge and learning. One example of this that was recently presented to me is HemOnc.org, a wiki-style site that serves as a resource and quick reference for hematologist-oncologists. On the site, one can find chemotherapy protocols, comparison charts between various medications, and references to the primary literature used to guide the design of protocols and selection of medications. This is one such example of a free, non-subscription based site that can be created by physicians for physicians for the storage, growth and dissemination of practical knowledge. One major advantage of this model is that knowledge can grow rapidly when it is shared. The collaborative effort brings together information much more quickly as each individual is contributing information and is exposed to a different set of patients, different literature, and different perspectives. Another advantage for a web-based solution is that the information can be accessed and modified on a variety of platforms, including on the computers in a clinic or hospital as well as on personal devices such as smartphonese, tablets, laptops, etc. This information can sometimes be automatically backed up to a physical hard drive so that it is not only living in the Internet ecosystem. This type of model also has unique challenges. Collaborative sites by necessity require more moderation in order to monitor and regulate quality of information. Web-based solutions require an Internet connection which surprisingly can be hard to find in the wireless dead zones of various hospitals and medical schools. Also, websites sometimes require hosting fees and sometimes minimal knowledge of programming (or at least managing basic website types such as wikis and weblogs). These are only a few methods by which one can keep a notebook as a physician. Regardless of one’s choice, the main objective is to help one take control of one’s learning and the shaping of one’s mind as a complex diagnostic system. This is an important step towards gaining more autonomy as an individual clinician and more effectiveness in treating one’s patients. Today, one of the our attendings gave a solid overview of the major families of dementias. With the skills of a talented and effective instructor, he queried the audience of residents and students to help him fill out the content of a table designed to help differentiate between the presentations, test findings, and treatments for the different types of diseases. He was able to keep the audience actively engaged and participating, but at one point he asked a question that was met with silence. I volunteered the answer, and he turned to me, somewhat surprised that anyone knew the answer. I explained (that he shouldn’t be so impressed): he had mentioned the answer in a previous talk given several months ago, and I just happened to have a set of notes from that discussion open on my iPad which I was annotating and expanding with the lessons learned from today’s talk. While it’s not so impressive that I was able to ascertain the answer, impressing someone was not the point for me: the fact is that I had that information and was able to quickly access it, even if it wasn’t readily accessible in my own brain’s memory bank without the assistance of my notes. This raises a major question for lifelong students of medicine: Is it better to try and store as much information in one’s memory as possible knowing that there will be limitations on the amount of information that can be remembered, or is it better to store some (perhaps a large proportion) of that information somewhere it can be easily and quickly referenced? If secondary storage of information is worthwhile, then should clinical information be trusted to a few easily-accessible resources (e.g. a pocketbook, online medical search database) or should it be digested and recorded into a personal notekeeping device (i.e. a notebook)? To approach these questions, we must first understand the nature of knowledge and how it is gained. While we would like to think of knowledge learned as being the truth and that truth is an absolute, for better or worse the learning of medical knowledge is not this simple. Since medicine is based on scientific principles, there is a constant effort to strive for refinement of knowledge towards the best approximation of the truth, but in the mind of a humble scientist there is also the necessary acknowledgment that a better or more truthful explanation may arise to refute his or her prior claim. Simply stated, medical knowledge changes, evolves, and hopefully improves with the advance of medical science. Nonetheless, there is also the knowledge derived from practical experience (or story or wisdom) that enters the learner’s mind in the form of a “gospel” taught by more senior physicians. In many ways, this information is equally important and perhaps carries equal weight because this information is based on direct encounters with individual people that have the full force of a clinician’s mind reviewing the entirety of their unique cases. Nonetheless, something that is gospel must be preached (with strong language, without wavering, and lacking an acknowledgment of uncertainty), and one only has to preach when there are those who do not believe what is being said. In other words, truth does not need to be questioned, but this does not fit the description of anything in medicine. As such, physicians and patients alike must live and function with great uncertainty regarding what is known, what is not known, and whether or not what is “known” is actually meaningful (or “truthful” as charted against a constantly changing measure of what is true). I will give an example here: I remember either a Neurology attending or fellow once explaining to me that the mild weakness found on ipsilateral limbs in a patient with a unilateral stroke could be explained by involvement of the fibers descending in the anterior corticospinal tract (which travels ipsilaterally and does not cross in the medulla). This descending fiber tract contains somewhere between 10-20% of the corticospinal tract fibers, varies in size between individuals, ends in the thoracic cord, and likely provides innervation to muscles of the neck and upper limbs. Anatomically, this explanation seems to make some sense. I asked another senior Neurology attending this question in a different patient with a similar presentation, and he stated definitively, “It never happens.” In perusing various Neurology textbooks, I cannot find any information corroborating the first explanation. The traditional textbook that most clearly addresses this question, Neurology: A Queen Square Textbook”, states “Of corticospinal fibers, 10% remain uncrossed, their neurones of origin outlining an ipsilateral somatotopic map, a point of little apparent clinical significance.” Why then, does this fiber tract even exist? There are some studies that suggest that the presence of this “accessory” pathway may aid motor recovery from lateral corticospinal tract damage as in stroke  or spinal cord injury . A common response among learners to these conflicting messages is to give up. The tendency is to lose faith in attempting to achieve the ability to “know.” Accordingly, many choose to defer to those who do “know,” or at least believe they do. The appeal of following guidelines stems from this tendency: in theory, a panel of “experts” have pooled together their knowledge and provided recommendations to follow. In this climate of uncertainty, most people choose to follow. But what makes the experts “experts” in their fields? Often they are the physicians, scientists, or physician-scientists who are pursuing active research or have extensive experience with a particular clinical issue. At best, they are driven in their desire to know by the awareness of the incompleteness and changing nature of knowledge and also by the idealistic hope that it is possible to improve knowledge and thus improve the practice of medicine. Ideally, they additionally generate new evidence to contribute to the current knowledge of disease and treatment in the form of clinical trials, updated reviews, case series, and more. At worst, they may be the ones who are simply preaching the loudest and most forcibly. I, and many others, would argue that this method of learning and practicing medicine is too passive and not sufficiently adaptive. Consulting (to the exclusion of other sources) searchable databases such as UpToDate potentially leaves one’s mind at the mercy of a few opinionated authors. It is not enough to practice medicine as directed by the Cochrane reviews alone. It is no longer enough to practice medicine based only on the anecdotal and experiential wisdom passed down by prior generations of physicians. And it is largely impractical for any individual physician to stay abreast of the latest developments in every field of medicine, let alone in his or her own field with regards to the numerous studies being published every week. Not surprisingly, it is important, then, to find a balance between all of these sources and types of information and information acquisition. A lot of educational theory and research is based on the many ways different individuals learn, particularly with regards to methods emphasizing visual, auditory, and tactile sensation. Incorporating multiple modalities, such as writing notes while listening to a lecture and watching a slide presentation, is thought to improve memory retention. Accordingly, it helps to write down what is learned, whether on the wards, at the white board, during morning report or noon conferences, or at grand rounds or conventions, as this should help you more firmly implant the knowledge into your hippocampi. Because of its origins and the way knowledge works within medicine, the lineage of knowledge remains an important distinction that marks one’s identity as a physician. Since much of medical teaching is based on the experiences of physicians whose careers may last half a dozen or more decades, one’s teachers inspire considerable reverence from the trainees who follow them. However, physicians may encounter several “schools of thought” throughout different stages of training and may find that their own minds are battlegrounds between competing ideologies. Accordingly, I find that it is very important to chart and document from whom one learns a new tenet of medicine (be it a resident, fellow, senior attending, clinical trial, visiting lecturer, clinical trial, review article, textbook, etc.). In the aforementioned example, I cannot remember who asserted to me the notion that damage to the anterior corticospinal tract can result in ipsilateral weakness. As such, I cannot ask him or her how that knowledge was obtained, and it thus holds little water against the assertion of the other attending or my current review of the available literature. If you keep track of your learning and keep references to your sources (e.g. the name of a physician who gave a lecture), it is possible to track how your thinking and understanding of the field evolves over time, particularly when new data is incorporated from new studies or encounters with physicians trained in another school of thought. Sometimes the hardest thing to remember is a question. And yet, as physicians, questions arise in our minds constantly: much of our role as clinicians mimics the modus operandi of the detective. Furthermore, the ingrained abundance of intellectual curiosity is one of the distinguishing features that differentiates physicians from other health care providers. Nonetheless, our attention is also constantly bombarded by numerous competing interests (pages, e-mail messages, patients and families, other care providers, etc.). There are countless times that I had a question I wanted to ask someone giving a talk which vaporized prior to the talk ending and also numerous occasions when I identified something I wanted to look up which I later forgot about. In order to help further develop your own knowledge base, improve the care of your patients, and perhaps even generate questions that might advance the field as a whole, it helps to write down the questions that come to mind as soon as they arise. This can help identify knowledge areas that you can expand and enrichen, detect problems in your clinical practice that might be useful to address (e.g. Why isn’t there a standardized protocol for (blank) here? ), and develop potential ideas for research. Last but not least, the notebook can serve as a measure and organizational tool for the knowledge one has already acquired. Keeping one’s thoughts and memories organized is a very important precursor to developing an easily and quickly accessible knowledge bank. The primary objective is to make your brain an efficient and effective database of knowledge and to use that knowledge to guide actions (e.g. the practice of medicine) in a meaningful way. The notebook should not serve as a replacement for the mind’s memory stores, but rather, it should serve as a visual aid (to trigger memories of learning from direct visualization and also to help guide a mind-only “memory palace”-style search if the notebook is absent) and as a hierarchical “site map” or “table of contents” that helps you keep track of what you know so far and what you don’t know. I hope I have at least begun to convince you that the notebook and the active engaging and recording of lessons learned are essential for physicians at all levels of training. 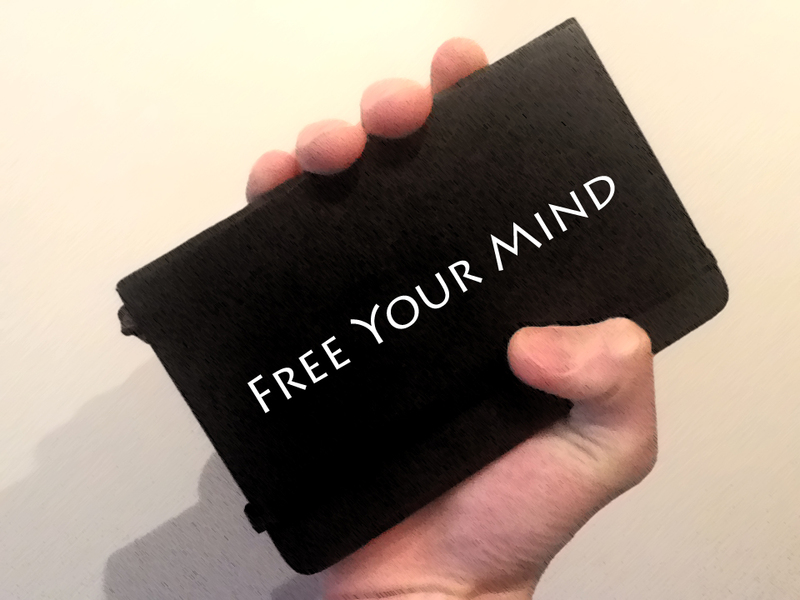 In my next installment of this series (The Battle for Your Mind), I will discuss different methods modern physcians can use to keep notebooks. 1. Shelton, F, and Reding, MJ. “Effect of Lesion Location on Upper Limb Motor Recovery After Stroke.” Stroke. 2001; 32: 107-112. 2. Priestly, JV. “Promoting anatomical plasticity and recovery of function after traumatic injury to the central or peripheral nervous system.” Brain (2007) 130 (4): 895-897. Apollo aka L.Y. Leung, M.D.